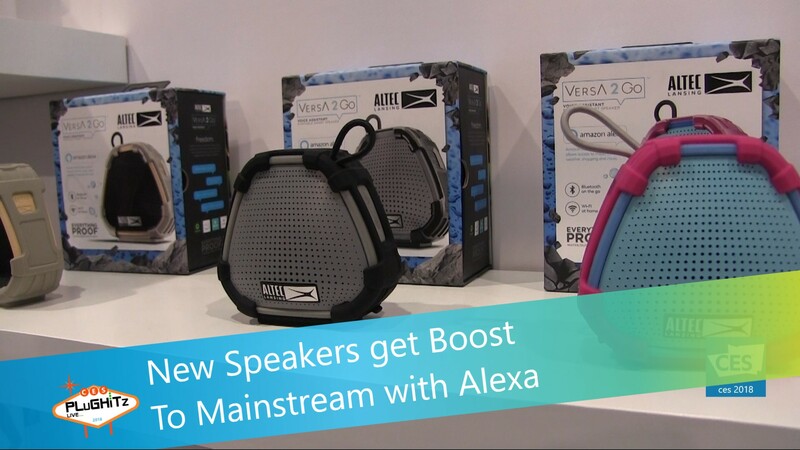 Altec Lansing has introduced a new line of Amazon Speakers this year at CES 2018 called VersA. The line consists of three speakers that are cute, lightweight and very functional. First up is the VersA 2 Go, which is compact and great for our busy lifestyles these days. It is Amazon Alexa enabled using a button to activate. Features include multi-room pairing, 100-foot wireless range, up to 8 hours of play time and a waterproof rating of IP67. It offers immersive sound with its 1.75" woofer and 2" passive radiator. MSRP is $79.99, and it will be available Q2/Q3 of 2018. Next up is the VersA Portable Speaker which has a larger footprint than its little 2 Go brother, but still compact, lightweight and versatile. It is Amazon Alexa enabled via voice command and has multi-room pairing with a 100-foot wireless range. It also offers playtime up to 8 hours and is IP67 waterproof rated. It's available now at an MSRP of $129.99 at Best Buy and Target. So grab them unused gift cards that you got for the holidays and buy yours today. Lastly, and our favorite, is the VersA at Home. This speaker is a clock/radio for your bedside. It's Amazon Alexa Enabled via voice command, but also offers QI Wireless charging, so you can easily charge your smart phone right on top. It boasts a 30-foot wireless range, omni-directional sound, and a sleek design with digital display. It has an MSRP of $149.99, and will be available Q2/Q3 of 2018.